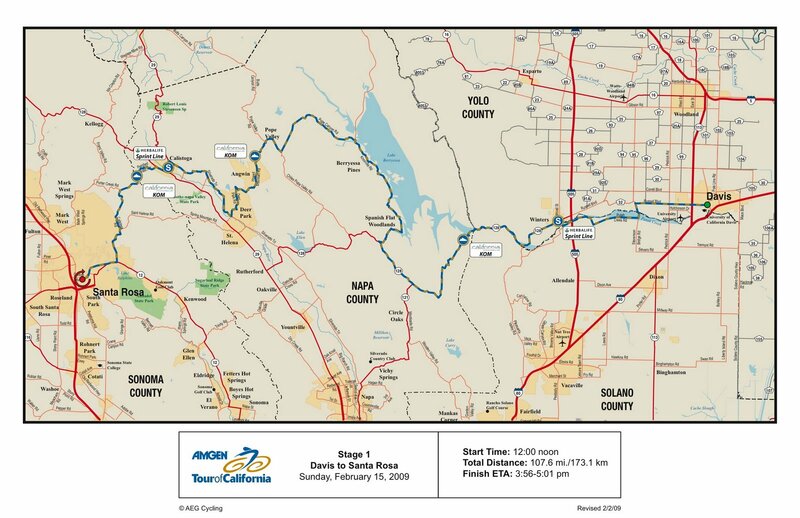 Very excited that the Tour of California is starting in Davis this year (for Stage 1 on Sunday). It should be a good stage — from Davis to Santa Rosa. And there are many many big names in the tour this year – even more than last year. In particular of course is Lance Armstrong. I have been a big fan of Lance for many many years — since I encountered him in Palo Alto when I was a grad. student. He had just won the World Championship and was in town to sing autographs and hang out at Wheelsmith, the best bike shop in the area. 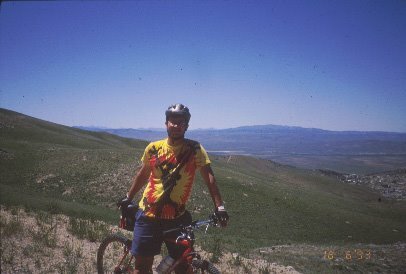 I was just getting into cycling and was going to Wheelsmith for some other reason and there was Lance. I got him to sign a few things and then thought, what would be coolest would be if he signed my favorite T-shirt (which I am wearing in the picture here). And he made my day by saying “Cool shirt” and asking where I got it. Anyway — it is going to be a big big day in Davis tomorrow with Lance Armstrong, and a whole gaggle of big time cyclists here in the best biking town in the country. Big Fan of Lance's Twitter here! The AMGEN kickoff was great fun, even if a little rainy.